The best alternative to Windows Movie Maker for easily editing videos. Microsoft has released Windows Live Movie Maker on August 19, 2009 as part of a refresh to their Windows Live Essentials download. Windows Live Movie Maker is the first application designed for Windows 7 and is built to make beautiful movies from your photos and videos. And the latest version is Windows Live Movie Maker 2011. Update in 2017: Microsoft has stopped the Windows Essentials Suite support on January 10, 2017. It is claimed that it is no longer available for download. Windows Live Movie Maker is a little bit limiting for video editing. In most cases, you need to run Windows 7. Fortunately, you do have other options. There is plenty of software which will do the same thing but better than Windows Live Movie Maker for you to edit your videos and burn videos to DVD. Among many of them, we recommend one Wondershare Filmora. You may wonder what's so special with this Video Editor. First of all, it supports almost all kinds of video formats, such as AVI, MP4, MPG, MPEG, 3GP, WMV, ASF, RM, RMVB, DAT, MOV and HD video formats: MTS, M2TS(AVCHD H.264), TS(MPEG-2), HD MKV(H.264, MPEG-2 HD), HD WMV(VC-1), and HD MOV(H.264, MPEG-4). Secondly, it provides powerful video editing function, such as crop, trim, adjust video effect, add watermark, etc. Also, there are 40+ menu templates for you to choose from. Thirdly, Windows Live Movie Maker can only generate WMV files directly, but this video editor supports burn video to DVD disc, DVD Folder and ISO file. While you are adding videos to Windows Live Movie Maker, you may encounter a problem like 3GP files can't be added to Windows Live Movie Maker. Or it can't be played in Window Live Movie Maker. And many other video files as well, such as RM, RMVB, DAT and HD video formats: MTS, TS, HD MKV, HD WMV, and HD MOV, etc. It's quite necessary to get familiar with what all those files that could be imported to Windows Live Movie Maker. 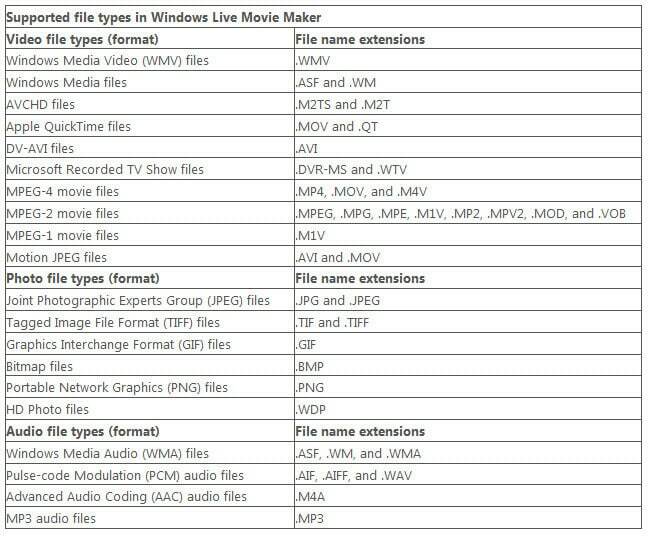 Video and music files that are protected with digital rights management (DRM) can't be used in Windows Live Movie Maker. Support for using MPEG-2 and Microsoft Recorded TV Show video files in your movie is available only if your computer is running one of the following editions of Windows Vista or Windows 7: Windows Vista Home Premium, Windows Vista Ultimate, Windows 7 Home Premium, Windows 7 Professional, Windows 7 Enterprise, or Windows 7 Ultimate. MPEG-4 video files that contain AAC audio can be used if you're using Movie Maker on a computer running Windows 7. Some MPEG-4 video files can be used when you're using Movie Maker on a computer running Windows Vista if the necessary audio and video codecs are installed. After adding your photos or videos, you can also add audio or background music to your video clips by clicking the Add music option. You can then edit your video in the timeline, add transitions, narrations, and visual effects to your video clips. 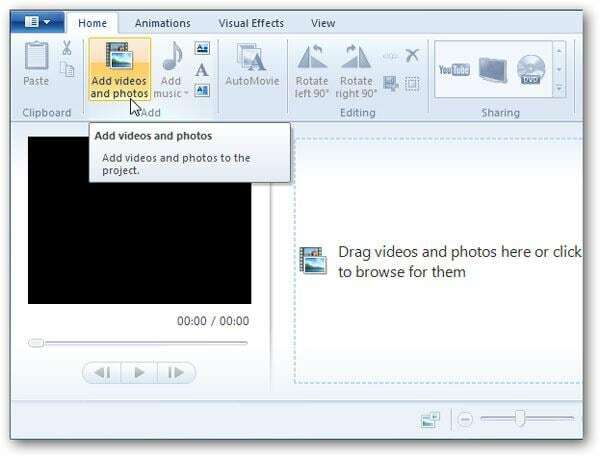 After finish editing, you can upload your video clips to Facebook, YouTube, and other social media, or burn your videos to DVD with Windows DVD maker. You can also save your video clips on your computer.